Aqua Sana is delighted that three of its five spas have been shortlisted in categories of the national Good Spa Guide Awards 2016. 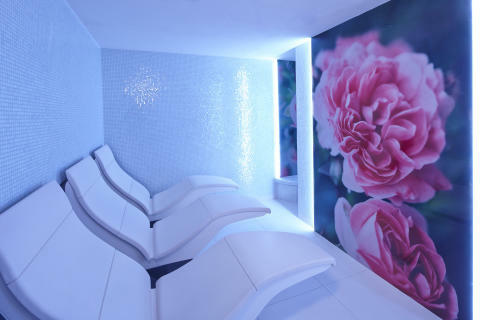 Aqua Sana Woburn Forest is shortlisted in the ‘Best Spa for a Day’ category, Aqua Sana Longleat Forest in ‘Best Spa for Groups’ and Aqua Sana Whinfell Forest in ‘Best Spa for Value’. Each Aqua Sana spa is nestled within acres of natural woodland at Center Parcs Villages in Bedfordshire, Wiltshire and Cumbria respectively, providing a perfect spa escape in the forest for anyone who wants a unique, relaxing experience. Now in its sixth year, the prestigious Good Spa Guide Awards features eight categories from ‘Best Spa for Outside Space’ to Best ‘Spa for Wellness’, with entrants from all across the UK shortlisted by the Good Spa Guide’s ‘Spa Spies’. The results of each category will be decided by Good Spa Guide readers, who can make their choices online at www.goodspaguide.co.uk/awards/2016-awards. Voting closes at 7pm on 31 October and the winners will be announced at the Good Spa Guide Awards ceremony on 15 November 2016.